Hi! I’m Katie Reinhold, and this summer I’m a Programs Intern at 826 National. 826 National is a nonprofit that supports and provides resources to a network of 8 (soon to be 10!) regional chapters. These chapters provide young students in under-resourced communities with opportunities to explore their creativity and improve their writing skills. Our mission is based on the understanding that great leaps in learning can happen with individualized attention, and that strong writing skills are fundamental to future success. As an Education Studies major, I was drawn to this internship because I admire 826 National’s commitment to closing the achievement gap. 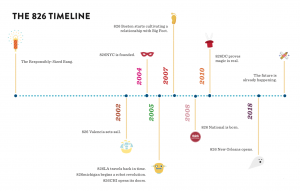 While 826 is certainly not the only organization working to solve this social injustice, the aspect I love most about 826’s work is their unique approach to education equity. Among other programs, each chapter provides free After-School Tutoring for young students, and every tutoring center is disguised behind an imaginative store front. In San Francisco, students traverse the Pirate Supply Store. In Chicago, they visit the Secret Agent Supply Co. In Boston, the Bigfoot Research Institute. These are operating storefronts, and all proceeds help support the organization’s work. But the real benefit of these storefronts is that they help eliminate the stigma of tutoring. Instead, students enter a world of limitless creativity, where students and volunteers spend afternoons tackling homework and exploring creative writing projects. So how does 826 National support these chapters? Well, my department in particular helps promote staff development across the network and supports developing chapters. This summer, many of my responsibilities revolve around the annual Staff Development Conference (SDC). In late June, more than 100 staff members from all over the country will come together to explore how they can continue to improve practices. Currently, I am helping prepare materials before the big event in a few weeks. Once the SDC is over, I will help compile a toolkit that reflects what the network has discussed, created, or asked for additional support on. This will be distributed to chapters as a valuable resource for the coming year. Last year, 826 National also launched a 826 Digital, a pay-what-you-wish online platform that provides adaptable writing curriculums and resources for educators. The goal is that 826 Digital will have a broader student reach than current chapters can, so that we can captivate young writers everywhere, not just in places where a chapter currently exists. This summer, I will be working to expand the resources available on that platform so that educators of all ages have a dearth of high-quality, low-cost resources at their fingertips. Throughout the summer, I look forward to gaining knowledge about how a national nonprofit supports its network. To date, my experience in the nonprofit world has always involved direct engagement with the target community, so I am excited to explore the more behind-the-scenes end of this work, and hopefully figure out if I can see myself working in this capacity in the future! 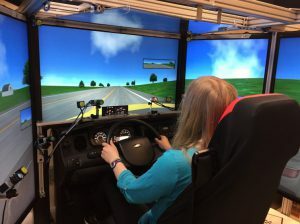 The simulator consists of five giant monitors giving it 220° of view surrounding a genuine car seat, steering wheel, pedals, and dashboard. It contains all of the components of a real car, including working digital rearview mirrors and speedometer. The seat moves to mimic the physical effects of turning or accelerating in a real car. The scene portrayed on the screens is from a virtual world where conditions can be manipulated, such as weather, time of day, and the presence and actions of pedestrians and other cars. These conditions are controlled in specific ways depending on the experiment being performed. The simulator is also equipped with cameras that can track head and eye movement data. This week, I read articles to become familiar with this field of research, and began learning how to perform vision tests on subjects, how to run the driving simulator, and how to process data. Eventually I will be performing all of these tasks on real subjects in order to collect and process data. 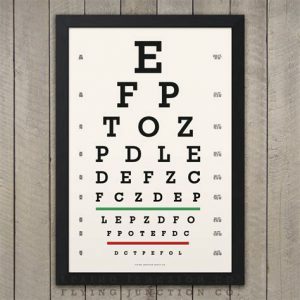 For this study, we perform two visual tests on all subjects: visual acuity and contrast sensitivity. 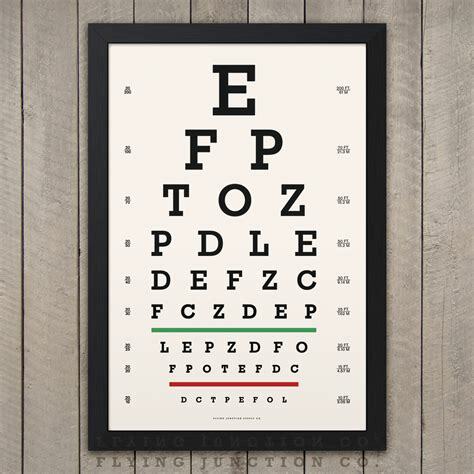 Visual acuity is the overall accuracy or sharpness of one’s vision (a normal acuity is 20/20), and is measured by reading a chart of different sized letters. 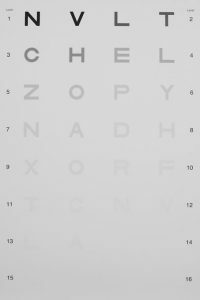 Contrast sensitivity is how well one can distinguish between light and dark, and is measured by reading a chart that has gradually fading letters. From this project, we hope to gain valuable information about the interactions between visual impairment and auditory distractibility. This information could be useful in the consideration of the safety of visually impaired drivers, or those considering obtaining a license. 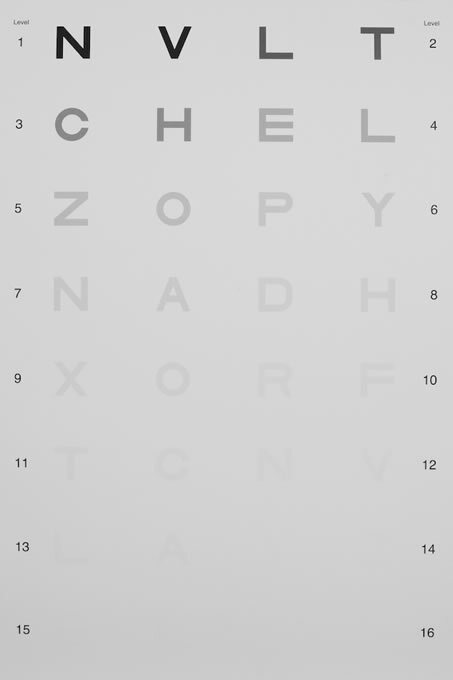 I have known since high school that I have a strong interest in pursuing a career in ophthalmology. I hope that this internship will give me the opportunity to learn more about ophthalmology in both a clinical and research perspective. My goal for this summer is to gain experience that will affirm my decision to pursue a career in ophthalmology, and provide insight to help me to refine and discover my interests. Suffolk University Law School Our New Home is on the top floor! After almost exactly seven months, Thursday, August 13rd concluded my tenure as intake intern and case assistant at the New England Innocence Project. The end of my internship signified a new chapter in not only my life, but in the history of the New England Innocence Project, as the organization moved into its new home at Suffolk University Law School. While leaving NEIP was difficult to say the least, I left having knowing that my experience with the organization was nothing short of life changing. I started as an intern back in January hoping to gain a greater appreciation of the law, while achieving a better understanding of what life is like working for a non-profit. What I received from NEIP was extensive knowledge of the legal profession, invaluable experience communicating with attorneys and clients, and a new direction for my future endeavors. My lovely coworkers: Nick, Jamie, Angela, Catherine, and Eric. Entering my summer with NEIP, my goals were three pronged: 1) gain a more robust understanding of the criminal justice system; 2) acquire some of the required skills of an attorney; and 3) positively impact those who have witnessed the pain of wrongful convictions. By and large, I can honestly say that I have achieved my goals. In an academic sense, I have learned a significant deal about the criminal justice system on the local, and national level primarily through the reading of trial transcripts, and working with trial and appellate attorneys on the state and federal level. In a professional sense, while my goal of learning the necessary skills to be an effective attorney was lofty, I do believe I made progress towards that goal. Through NEIP, I learned how to more effective communicator by discussing legal matters with clients, co-workers, and attorneys on a daily basis. Additionally, I was given the chance to engage in legal writing, working on “Post-CRC” Memos that concisely summarize an applicant’s case in order for the organization to determine whether NEIP should choose to represent them. While I would’ve liked to receive further experience in legal writing, the nature of the NEIP organizational structure primarily delegated that task to the legal interns. Nonetheless, I can confidently say that as an intake intern, I received a unique opportunity to learn and grow from a legal environment that few others get the chance to be immersed in at such an early stage in my professional career. Lastly, in a personal sense, I have provided support and consolation to those who have witnessed immense pain at the hands of wrongful convictions. I have worked with inmates and their families to guide them through our case process and ensure them that as an organization we are there for them. The gratitude that I have received from inmates –many of whom have wrongfully spent decades behind bars—has brought me satisfaction that has been thus far unparalleled in my life, and in turn, I am incredibly proud of the work I have done at NEIP. As I turn towards the future, NEIP has undoubtedly solidified my interest in the law. While I entered this summer certain of a passion for legal advocacy, and a potential career in public interest law, NEIP has directed me towards an interest in criminal law, in particular, defending individuals without the means to appoint sufficient legal representation. Witnessing the plight of low-income individuals that often culminates in legal troubles has instilled within me a passion for aiding those of less fortunate means. While I may be uncertain as to where I may turn with the legal profession, I am now convinced that law is the proper path for me. For any student looking to understand the dynamics of the criminal justice system, NEIP would make a great internship for you. At NEIP, interns get the opportunity to form connections with inmates, attorneys, and police departments, working in conjunction to remediate the inadequacies of the criminal justice system. At NEIP, real progress is not an abstract goal, but a tangible thing that can be measured. For those passionate about assisting the least fortunate members of our society, while ensuring that every individual is treated fairly under the law, NEIP would be an incredible organization to work for. During my eight weeks at AIDS Action Committee (AAC), I was able to learn and grow immensely from my interactions with coworkers and our clients. I am proud to say that at AAC I was able to meet all of my learning goals that I defined at the beginning of my internship. An academic goal that I had was to be able to use information that I had learned in my public health classes to further examine the health disparities that clients at AAC faced. Through the “Getting to Zero” training series that AAC facilitated, I was able to learn more about the root causes of HIV/AIDS not only through a scientific model, but also through a public health lens that focused on social, psychological, political, and economical perspectives of the disease. A personal goal I had was to learn more about real estate and the housing market. Learning the housing search terminology and the procedures for obtaining property information was the most challenging, but also the most rewarding part of my internship. Towards the end of my internship, I worked on a draft for a “Housing Search Guide” that would be able to help guide future interns and employees in AAC’s housing program. Creating this guide was a rewarding experience because I had the chance to collaborate with my coworkers to create something that would benefit future AAC employees: people who all share the common goal of being social justice advocates for those living with HIV/AIDS. I am thankful that I had the opportunity to work in the housing department, as I was able to see first-hand how large the need is for access to safe and affordable housing and how acquiring this housing can drastically improve quality of life, especially for those who are sick. Additionally, a career goal I had was to learn how to best educate and advocate for people living with HIV/AIDS and other chronic illnesses. Attending the “Getting to Zero” training and helping to facilitate housing search groups provided insight on some of the most pertinent needs of AAC’s clients. One video that I watched during the training was HIV: The Goal of Undetectable, which highlighted the mechanism of how HIV acts in the body and helped me better understand how HIV treatment works. The videos and brochures presented to us during trainings were informative, engaging, and simplified enough for people of various educational backgrounds to understand. For additional information on HIV/AIDS that I used as part of my trainings, click here. Brochure from one of the “Getting to Zero” trainings on Young Adults and HIV/AIDS. Working at AAC helped me to clarify my career goals, as I was able to see a wide range of services that AAC provides. Though I worked at AAC’s Boston site, I had the chance to visit Youth on Fire, which is AAC’s program in Cambridge that helps homeless youth, and I also worked at AAC’s Cambridge site in Central Square, where I got to visit the Needle Exchange Program that focuses on harm reduction for intravenous drug users. By seeing such a wide range of services and being able to engage and relate to such diverse groups of people, I relieved that my interests in public health are indeed very broad. The one commonality between my experiences is that I learned that advocacy is a field that I am definitely interested in gaining more work experience in, and that I want to pursue further opportunities in HIV/AIDS and public health. One bit of advice I would give to a student interested in interning at AAC is to take advantage of the wide range of services provided here and try to experience different parts of the organization even if they are outside of the department that you are working in. This was crucial for me, and as a result, I was able to network with a wider range of people who still shared so many common interests with me. Another piece of advice would be to keep an open mind. 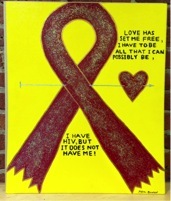 I had a few misconceptions about HIV/AIDS and harm reduction at the start of my internship and some of the educational outlets that AAC provided me with were able to shift my understanding of different concepts and allowed me to view topics such as HIV/AIDS treatment, sexuality and contraception, drug use, and other harm reduction topics in a new light. I encourage students interested in learning more about HIV/AIDS to use internships as an educational tool by and taking advantage of hands-on opportunities to learn from diverse groups of people. 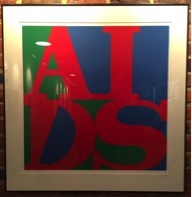 Picture in AIDS Action Committee hallway. United for a Fair Economy- Where has the time gone? It’s hard to believe the summer is half over. I have learned so many valuable things so far at United for a Fair Economy (UFE). One of my goals this summer was to learn more about the behind-the-scenes at a small non-profit organization. 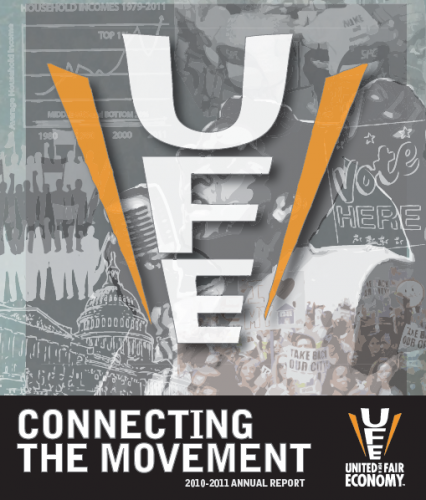 Even in such a short time, I have gained an understanding of how UFE operates. I’ve learned what goes into a budget, how to frame a development plan, and what different types of communications are used. I also attended a website building meeting to determine who visits our website, what they are looking for, and what content is essential for us. One particular skill I am building is my writing. UFE talks about being “donor centric,” which means writing from the viewpoint of the donor. In broader terms, I am working to understand other perspectives. I have been able to apply the writing skills I learned in school in a new and creative way. I have to think carefully about the wording of everything I write, improving my writing for both academic work and future jobs. The work I am most proud of at this point is a three-email appeal I helped write that was sent to donors. They were designed to get donors excited about the direction UFE is headed, and to let them know what their money does and why it is important that they support our work. More abstractly, I’ve learned that non-profit work is complicated. From the development perspective, the organization never really knows how much money will be given, or how successful what we are doing is. For example, UFE sends multiple appeals each year. Sometimes, more money is donated than others. It is hard to know what about the appeal worked- the writing, content, design, timing, or something else. However, this money is necessary to fund the many worthwhile projects UFE hopes to take on, so I’ve learned that you just keep going and do the best you can. In addition, working in the real world has been different from academic life because it isn’t planned. In my classes, the professor has a plan of what he or she will teach and provides a syllabus. As a student, I know what I am going to learn and when I will be tested. On the other hand, in my internship, I find out what I am doing each day based on what is happening. The future is unknown to everyone; there are plans and objectives, but any number of things could change them. Furthermore, at school, I am only accountable to myself and my own success. I do as well as I can in classes for myself. At a non-profit, I am doing all this work for and with others as well. I am accountable to the organization and the people the organization is helping. This internship is helping me build skills for school and the future. I’m learning to ask questions, help with as much as I can, stay organized and motivated, and develop relationships. I look forward to the second half of the summer. Author rsePosted on July 27, 2015 Categories Recipient of Social Justice WOWTags Boston, Economy, Social Justice1 Comment on United for a Fair Economy- Where has the time gone? The best part of my commute every morning. While I’ve held steady employment since I was 14 years old, working at the New England Innocence Project this summer has been the first time in my life I have genuinely looked forward to work each and every day. 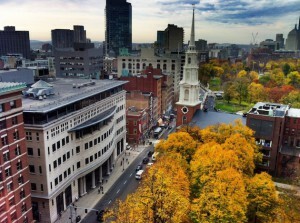 As much as I love being on campus, I could certainly get used to commuting to Boston everyday, walking across the downtown area, and spending time in an office overlooking the Common. 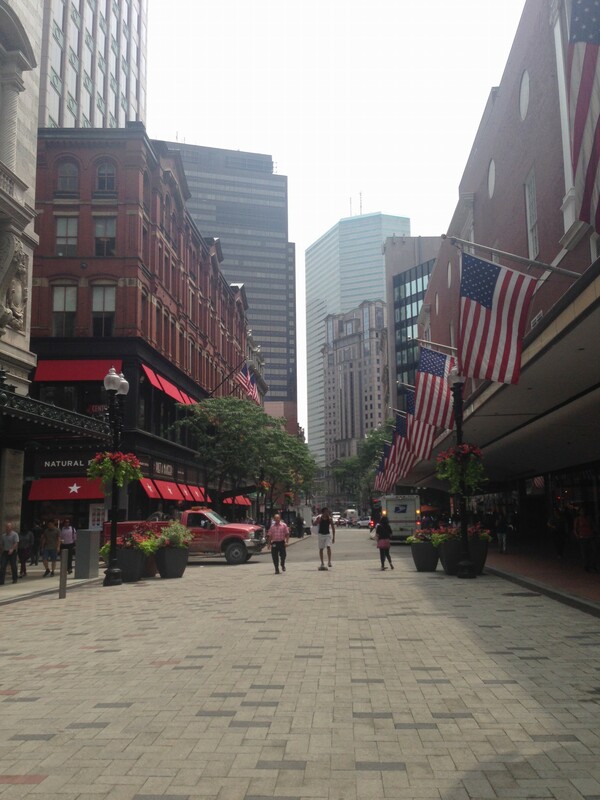 However, as much as I enjoy the scenery of downtown Boston, I enjoy NEIP not simply because of the location, but because it’s a place where I am proud of the work I do, and confident in my ability to contribute. This week marked the arrival of the next intake intern, Freda, who will serve in my position throughout the fall and winter months after I have left NEIP. The task has been given to me to the train Freda and in doing so I now recognize how much there is to learn about the intake position. I’ll be responsible for familiarizing Freda with many of the nearly 4000 applicants that NEIP has been working with since its inception, spreading extensive knowledge about our past and present cases. In addition, I’ll need to show her how the organization functions, by instilling in her an understanding of the online databases, the system of physical files, and the interactions between directors, attorneys, volunteers, and interns. To be effective, I’ll have to transfer to her many of the skills that I have learned from NEIP over the last month, in becoming a better communicator, a more patient individual, and a more organized worker. One of my favorite co-workers, Bishop. By speaking with attorneys on a daily basis, I have learned to communicate more effectively, sounding at times more like a seasoned attorney than an intake intern – to the point where I’ve been called “Attorney Jacobson” more than once. Through experience and repetition, I have become more confident and more helpful when speaking to inmates and applicants as I am better able to answer their questions, predict their responses, and provide guidance throughout our screening process. In becoming a better communicator, I expect it to pay dividends whether I am engaging in discussion in the classroom, or working behind the counter at Einsteins. In learning the essence of patience, I have become more accommodating and more responsive in my exchanges with the family members of inmates. While I’ve often avoided conflict throughout my life, I no longer fear potentially argumentative interaction with applicants, and instead I look forward to trying to achieve conciliation through patient dialogue. While this newfound patience will undoubtedly benefit my personal life, it should also improve my ability to work with others in an academic setting. By serving in a position that requires many hats, I have become more organized in my work. One minute, I might be performing drafting a Case Review Committee Memo for an applicant such as Clarence Spivey, the next I might be brainstorming ideas for how to improve our screening process, and the next I might be gathering statistics for a grant, such as the Bloodsworth. Without effective time management, and physical and mental organization, I would struggle to keep up. This should hopefully make me a better studier, and a more productive employee. It saddens me to recognize that I’ll soon be done at NEIP, but I intend to make the most out of my last month here. On April 13, 2003, having served over 19 years in prison for a crime he did not commit, Dennis Maher walked out of Bridgewater Treatment Center a free man. A victim of eyewitness misidentification, Maher was convicted of several accounts of sexual assault for a series of attacks on young women in Massachusetts during the Fall of 1983. However, having maintained his innocence for nearly two decades, Maher eventually caught the attention of the New England Innocence Project, who utilized newly discovered DNA evidence found in 2001 to bring about his exoneration several years later. In the decade since his exoneration, Maher has proven to be one of the most inspirational individuals out there. 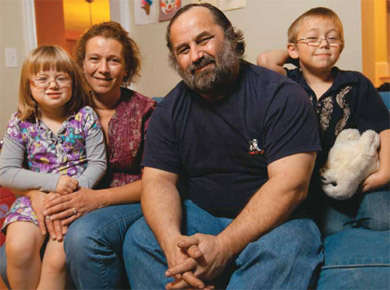 Maher has not only accomplished his goals of finding a job, a wife, having kids, and buying a house within a decade of his release, but has regularly donated his own time and resources to aiding other exonerees in their transition back into society. Meeting Maher one of my first days at the New England Innocence Project (NEIP) inspired a passion in me that has only grown since. In the short five months I have worked there, NEIP has become as much a part of me as anything else important in my life. NEIP is a non-profit organization that provides pro-bono legal assistance to individuals who have been wrongfully convicted of a crime in one of the six New England States. Since its founding in 2000, NEIP has exonerated a total of 51 wrongfully convicted individuals and counting. At NEIP we work with applicants every day to find the next individual who might’ve slipped through the cracks of the criminal justice system. This summer at NEIP, I serve as the intake intern. I receive all non-administrative correspondence that enters the organization. On a daily basis, I receive and respond to letters from inmates, emails from their families, and phone calls from attorneys in order to advance applicants through the case review process into the eventual stages of litigation. In addition, I organize meetings for the staff to determine viable applicants, and work with the legal interns to gather all essential case documents. In effect, I serve as the voice of NEIP to guide inmates throughout the screening process, providing a liaison between the staff and the applicants. Me at my desk smiling before 9am! Throughout my summer at NEIP, I have several goals which I would like to achieve. Firstly, I hope to gain hands on experience in the legal profession. With NEIP, I have the opportunity to not only learn from law students, staff, and paralegals, but through communication with attorneys, clients, and law enforcement. This is a unique opportunity to be immersed in the legal world at an young age. Secondly, through NEIP I hope to learn more about the criminal justice system through my interaction with the case review process. By reading trial transcripts, post-conviction opinions, and appellate briefs, I hope to gain a more comprehensive understanding of the criminal courts throughout New England. Lastly, through NEIP, I hope to improve the lives of those who have witnessed their lives torn apart by the pain of wrongful convictions. In my correspondence with inmates and their families, I want to leave the impression that whatever they have gone through, they are not alone in this process. All in all, I am honored to work with NEIP, and I look forward to getting more involved. It is amazing how quickly this summer has gone by and that I am more than half way done interning with the Boston Public Health Commission. BPHC’s inspections of Boston public schools is completed for now, so I have been shadowing health inspectors as they conduct inspections in small businesses such as nail and hair salons. I also went to an emergency health hazard call at a restaurant in Mattapan where a sewage pipe burst in the basement of the building complex, which also affected a neighboring barbershop. The restaurant’s permit for operation was suspended until the matter was cleared up and they passed a follow-up inspection. I still find it interesting to observe the protocol for each inspection, in different types of businesses, that the commission deals with on a day-to-day basis. In addition to shadowing these inspections, a majority of my work this month was directed towards finding an affordable ventilation system for nail salons that meets the new regulation standards. Recent regulations put into effect by the commission regarding ventilation in nail salons include an increased outdoor airflow rate and the banning of recycled air within the salons. These requirements follow those set forth by the International Mechanical Code of 2009 http://publicecodes.cyberregs.com/icod/imc/2009/icod_imc_2009_4_par015.htm and must be fulfilled by October of this year. Most of the salons will have trouble meeting this deadline for financial reasons, as existing ventilation systems that fulfill the requirements are pricey. Finding appropriate ventilation for the salons is difficult as well because specific requirements pose different challenges. For example, the zero percent recycled air requirement will make it hard for salons to retain heat in the winter and air conditioning in the summer, so a system that can fulfill the need of exhausting air without losing heat is ideal, but expensive. This is why the commission is working with students at Wentworth Institute of Technology on developing an affordable system. I was tasked with trying to find a mechanical engineer who was familiar with the International Mechanical Code of 2009 and was interested in partnering with the Wentworth students on developing a system. However, none so far have shown a strong interest because the scope of the project is daunting, or because they are unfamiliar with the needs of the nail salons. Lastly, I have continued to do educational outreach with nail salons and auto body shops through the commission’s Green and Clean program http://www.bphc.org/whatwedo/healthy-homes-environment/green-and-clean/Pages/Green-and-Clean.aspx. 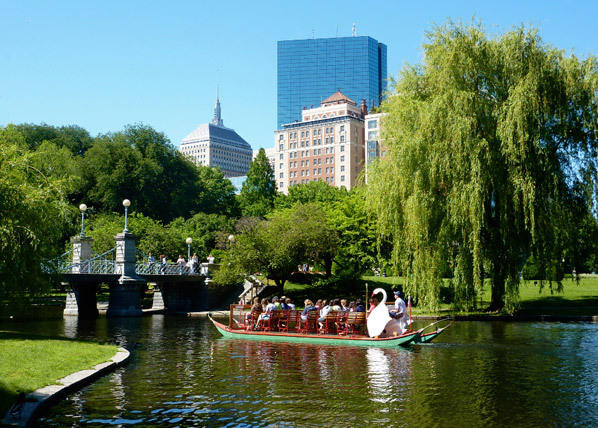 This involves going out to new auto body shops throughout Boston to inform them about the program and its benefits, such as free advertising of your business on the commission’s website as being a “green” business. If a business decides to sign on, then a follow-up walk through is conducted and if enough points are earned, then the business passes. For auto body shops, points can be made for initiatives like recycling oil or windshield glass, in addition to using a water based primer instead of an oil based one. Overall, my experience with the commission continues to be personally fulfilling as I feel that I am directly impacting the improvement of public health within the city of Boston, which is a fantastic feeling at the end of each day. I look forward to seeing what project I get involved in next. 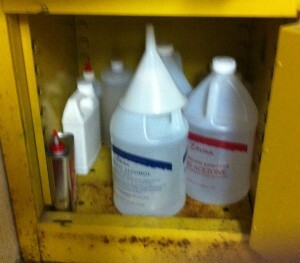 To the left is a picture of a typical flammable storage container and it is required that all flammable or volatile chemicals be stored within one, such as the acetone seen in the picture in a nail salon. To the right is a paint spraying room in an auto body shop. One of the point based initiatives in the Green and Clean program is that all paint spraying conducted in an auto body shop must take place in one of these regulation spraying rooms with proper ventilation. 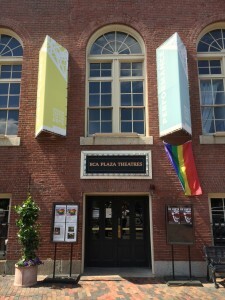 I’ve been with Company One Theatre for exactly two weeks now, and while I know this blog post is supposed to focus specifically on my first week, I just had to wait until after the Literary Managers and Dramaturgs of The Americas Conference I attended this past weekend so I could include it in this post (it was, as expected, an incredible experience). So, casting is my main focus. But, I’m also doing general office work and will be helping out with tech week and the performances for our summer show, Astro Boy and the God of Comics, by Natsu Onoda Power. Those duties vary a lot; for instance, I’ve worked on the program for the show, I’ve done inventory and organized the books and plays we’ll be selling in the lobby during the show, and I’ve applied for a liquor license (again, for the company, so we can have a bar at our performances, not for me). 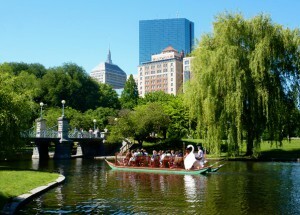 And I did, I went to the LMDA annual conference in Boston. Not only did I learn a huge amount about dramaturgy and theater, but by the end of the conference I realized how much more I have to learn. Dramaturgs do do research, by the way, so I wasn’t technically wrong in my hesitant answer, but they do so much more and their duties vary so widely. From providing actors and directors and designers with the information they need to accurately and truthfully present a play, to helping plan a season for a theater company, to reaching out to communities and connecting the audience to the performances, to setting up interactional lobbies during shows– and so much more– dramaturgy is an under-discussed, under-appreciated, and incredibly useful job in the theater industry. I got to go to a variety of talks, such as “hot topics in dramaturgy” (which included philosophical dramaturgy, post-memory dramaturgy, living as an artist, and a poetic response of what it means to be a dramaturg), a panel on the relationship between dramaturgy and academia, a key-note speech given by Pulitzer Prize-winning critic Wesley Morris (photo below), a networking panel, a panel on the future of theater, and a talk on dramaturgy and diversity. 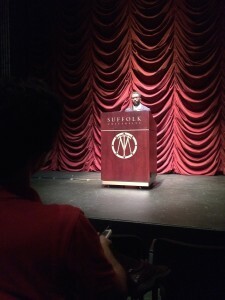 I was especially thrilled that I got to go to the dramaturgy and diversity talk and discuss how to make the theater more diverse in terms of race, gender, sexual orientation, age, and ability, because we, the theater world, are so far from being accurately representative of our actual population right now. 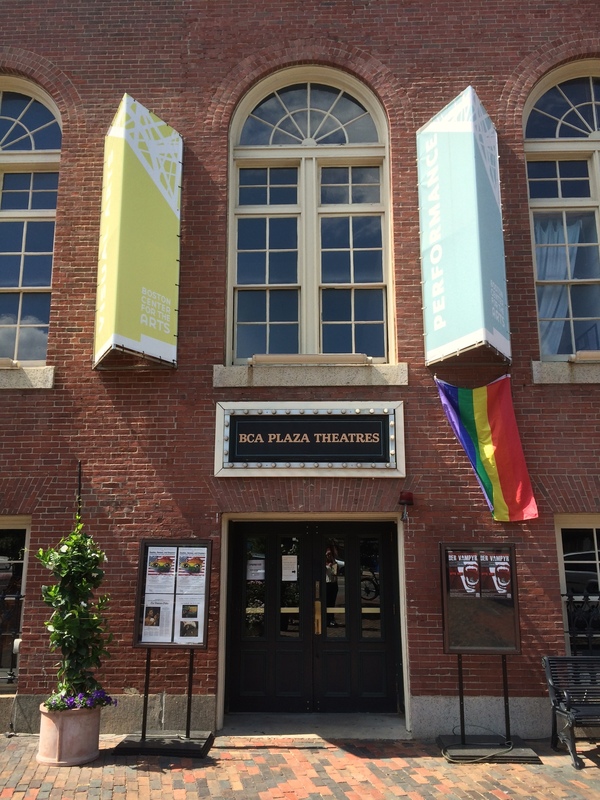 And that’s also one of the reasons I wanted to work at Company One this summer; the theater works to produce diverse plays that represent our population and increase accessibility to theater– and having theaters with goals like that (as, honestly, all theaters should have), are so important. I’m so glad I was able to use my Brandeis connections and find out about the internship at Company One (I contacted an alumna who had interned there before e-mailing in my resume and cover letter), and I can’t wait to see how much more I learn about professional theater, non-profit theater, diversity, art, and the business of theater in the next eight weeks at this company. It’s been a little over a month since the beginning of my work here at NARAL and I’m enjoying it more and more as we get further into the summer. Many of my goals were focused around gaining experience in the non-profit world, making valuable connections, and really taste-testing to see if this is something I’d want to pursue in the future With this in mind, I think I’m progressing well. For me, politics, as in running for office, doesn’t seem like the medium of change I want to pursue. I want to be part of the most effective way of making change. My supervisor’s job includes both the legislative and political side by lobbying for legislation, working in the statehouse, making valuable connection with senators and representatives, and really being on the front lines of passing effective and necessary legislation. In addition, he spends a lot of time working to get pro-choice candidates elected. These two aspects of change are not only essential for progressive initiatives (working from both the policy and elected official sides) but also are part of a job that I really feel interested in. My academic goals of learning more about pro-choice legislation, the act of lobbying, what it takes to run a non-profit, and actual reproductive rights have also been coming along. Everyday I feel like I’m learning more and more about the topics themselves, but also how they fit into my life. In addition, I’m building a lot of skills related to this type of work. I’m becoming familiar with grassroots organizing techniques, constituent relations, working with state legislators and aides, and campaigning. Campaigning has been a really large portion of my skill set because campaigns are complicated and almost take on lives of their own. There is just so much involved. First, one must get a large volunteer base and intern base if they want to run a successful campaign since campaigns rely on manpower. Secondly, they require a lot of organization and planning to run a successful campaign, which includes door knocking, phone banking, and data entry as the main components. All of these activities are not simple. They require a lot more than face value. The hours are long, the jobs can be tedious and intense, and the response isn’t always ideal. But running an effective and credible campaign is extremely important, and I feel very lucky to be able to be part of so many incredible campaigns. All of these skills will absolutely transfer into both future academic and career pursuits as I’m building a large skill base, getting experience working for a non-profit, and learning empirical knowledge about women’s health and reproductive rights. 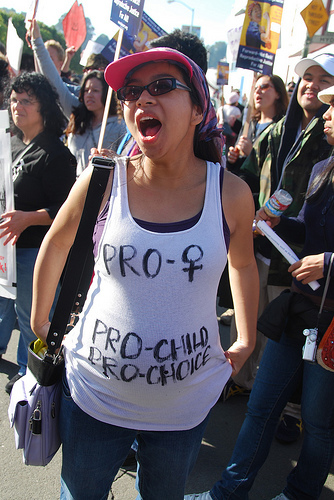 One thing I’d like to quickly address is the misconception that NARAL is a pro-abortion organization. In fact, NARAL and it’s employees are routinely called “baby killers” and other things that are just as vulgar and untrue. NARAL works for women to have choice, access to medically accurate information, and a full range of control over their bodies. It does not promote one option over the other, it does not deny that abstinence is the most effective way to avoid pregnancy; it does not promote abortion as a form of birth control. It works for women to be able to have full control over their own bodies. You don’t want an abortion? Don’t get one. It’s as simple as that. But every woman, regardless of race, class, sexual orientation, or age, should have full control over her body. 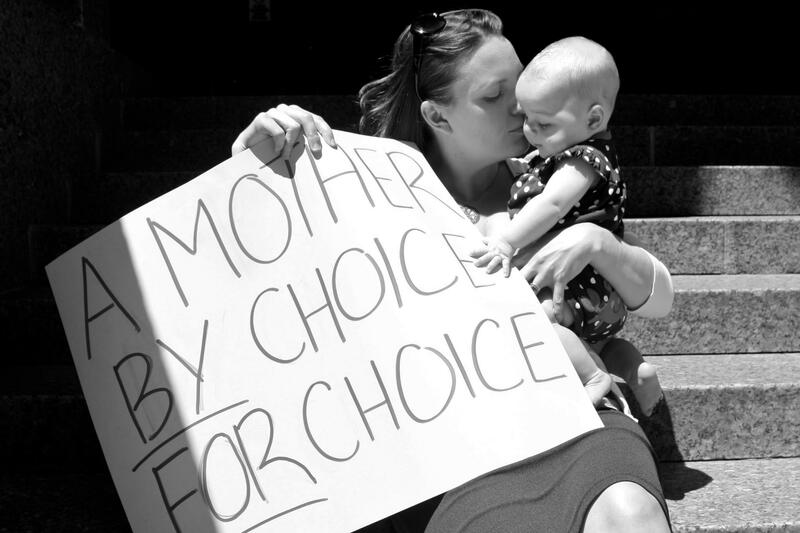 Being pro-choice, is not anti-child, anti-family, anti-religion, or anti-anything. It’s being responsible and respectful. There are so many undeniable correlations between access to reproductive rights and increasing education, health, financial independence, and aspiration outcome. As a young woman, I understand what is at stake in this election – at this time. The fact that reproductive rights are even still in question is an absurdity that boggles my brain daily. I understand that fighting for the right to have control over my body is essential and something that cannot be taken lightly. Even with waning faith in the political system, I understand that voting in this election (both state and federal) are essential in the promotion of my rights as a 21 year old Brandeis student who wants to be able to decide if, when and how I have a family. If you are reading this post, male or female (because this is important for men and fathers as well), remember that this election is really important and regardless of your own personal views, choice is choice – and a constitutional right that is being threatened and must be protected. 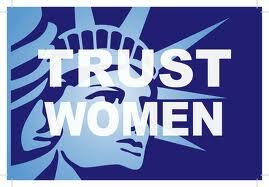 Please vote pro-choice in 2012. In my next blog I will be attaching a Massachusetts Voter Guide, which shows which candidates are standing behind this fundamental right. Sorry for the bleeding heart speech, but I feel if I’m going to be writing about my goals, it’s important to state what it really all comes down to: getting the community together to help protect choice. It’s been a few weeks since I began my work with NARAL Pro-Choice Massachusetts, the state affiliate of NARAL Pro-Choice America. I have really been enjoying my time here and am sad at how quickly it is going by. The main mission of this non-profit organization is to create, build, and maintain a grassroots constituency to protect every woman’s right to make her own decisions regarding her reproductive choices, whatever they may be. 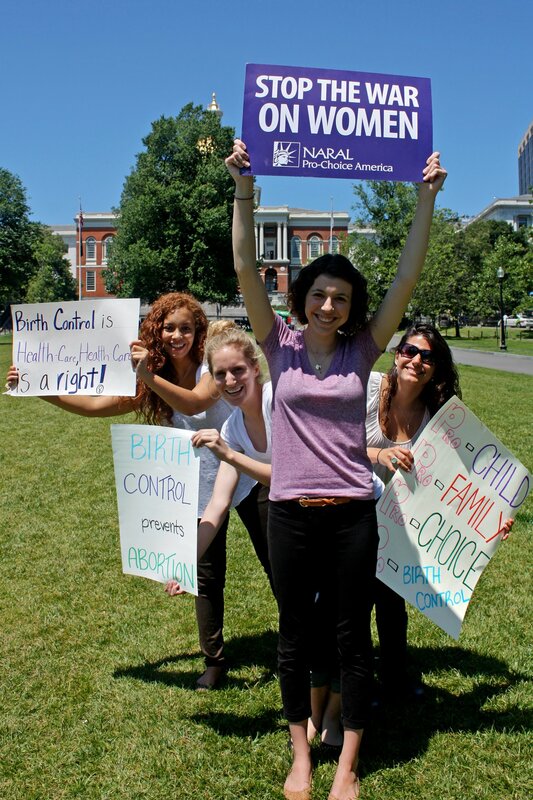 NARAL does many things to protect women and their right to choose including mobilizing supporters, working to elect pro-choice candidates, passing pro-choice legislation, conducting research on reproductive topics, and leading initiatives to improve the reproductive health equity within Massachusetts. Given this summer’s extreme importance as an election summer and the significance of reproductive issues within the campaigns, this summer is an exciting and crucial time to be working with NARAL. 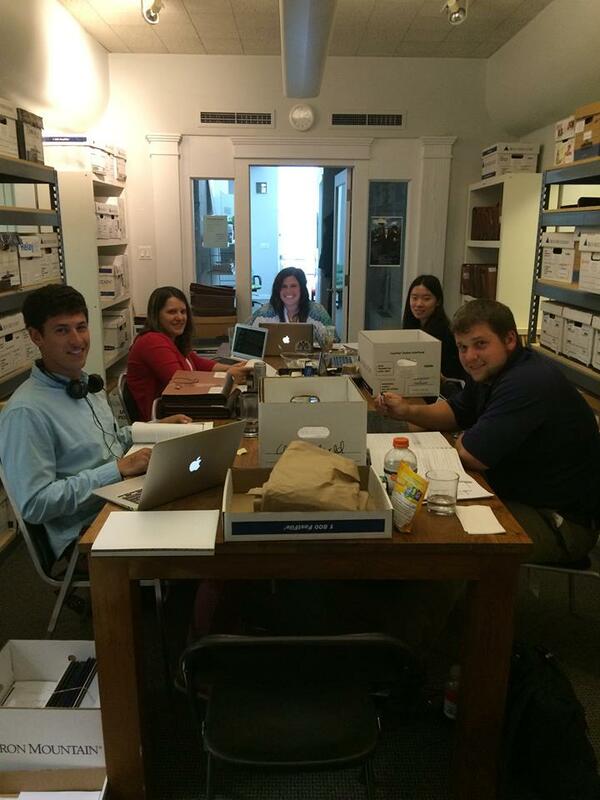 My internship is basically divided into two parts; office work and campaign work. My role in the office consists of many different responsibilities like data entry, sitting in on endorsement interviews with candidates for the Massachusetts legislature and various other tasks. I am also responsible for tracking Worcester County state elections and following all the local politics to keep track of our endorsed candidates. In addition, I work as the legislative intern which entails keeping track of NARAL’s priority legislation, writing fact sheets, following policy in the statehouse, and working to prepare for the next legislative session as this one comes to a close in July. The other main part of my internship is working on the campaigns of the candidates we endorse. This is really exciting because I get to work on multiple campaigns; meet a lot of incredible people, network, and get important experience being part of a campaign. When I’m on a campaign I’m doing everything from making constituent calls, going door to door, and yes, more data entry. I became interested in NARAL when I referred to their database for help with a research project, showing the link between the oppression of women and access to birth control and abortions. I was impressed and inspired by their research and policy initiatives. I knew that I wanted to work for a non-profit dealing with social justice and women’s studies, so after researching NARAL’s functions and the opportunities available over winter break, I applied for an internship to test the waters in the non-profit world. My first week was wonderful. It involved an all day-training with other interns at local non-profits like MassEquality and Women’s Political Caucus. I learned a lot about NARAL itself, but also the goals of small political non-profits and how they work. Later that week, we had one of our biggest canvassing events at Gay Pride Boston 2012. It was an incredible experience. The main goal of the day was to increase our membership. This event was really fun, action-packed, and a great introduction to the internship. It’s also just a really wonderful experience to be surrounded by people who are all coming together to fight for equality. My learning expectations are based around my desire to further figure out which medium of advocacy for justice I want to pursue. This internship will help me to clarify my career path and allow me the opportunity to test the non-profit world. As a rising senior, I’m really looking forward to using this internship as a way to further my understanding of my career goals and potentially make vital connections for the future. Before I close this first post, I think it’s really important to share something I learned within my first week at NARAL. Massachusetts has always been seen as an extremely progressive state and many people are proud to live here. While this is true, sometimes the legacy of Massachusetts being progressive allows us to take a backseat and assume things about our laws. Despite Massachusetts’ extreme leadership in healthcare and commitment to public health, Massachusetts is one of only four states in the entire country that still has an outdated law on the books, from the 19th century, that bans all abortions. In addition, there is another provision that bars all birth control to unmarried couples. These archaic statues have not been enforced for many years especially given federal cases like Roe v. Wade, which is potentially why there has been little to no movement to get rid of them. Yet in the wake of recent attacks on reproductive freedom, Roe v. Wade does seem like it’ll be threatened in the near future. If this becomes the case, and it is overturned, abortion and birth control will become illegal in Massachusetts. We cannot stand for this. One of NARAL Massachusetts’ main legislative priorities is working as hard as possible to get this archaic and unjust legislation repealed as quickly as possible. Be on the lookout for ways you can reach out to your state legislators to make sure this legislation is repealed. Sorry for the detour! Overall my internship has been incredible and I’m really looking forward to the rest of the summer. To see if your legislator is pro-choice, click here. 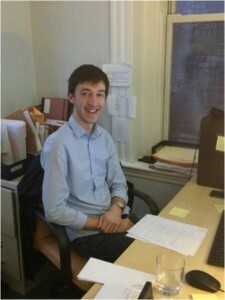 I have just completed my first week as a youth development intern at the Roxbury Tenants of Harvard. 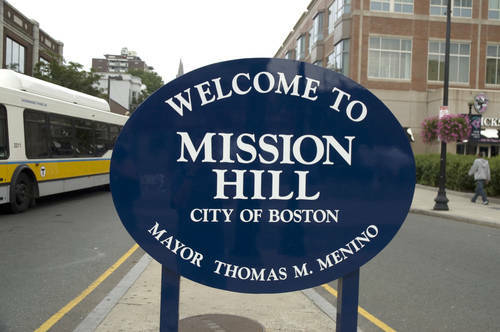 On my first day my supervisor took me on a tour of the Mission Hill property and explained to me how their organization is run. We also discussed his background in Non- Profit work and the skills one needs to acquire in order to hold a senior/executive position. One of my personal objectives for my summer internship was learning about the business aspects of Non-Profits. I’m interested in social services as well as business. This is why I thought it would be beneficial to get some hands on experience at a Non-Profit organization this summer. My supervisor has agreed to go over the budget with me, as well as allow me to sit in on staff meetings so I can see how executive decisions are made. I feel incredibly fortunate to be working with someone who is invested in my experience and wants me to get everything I possibly can during my time here. He told me he would share all he knew with me, and he has been keeping his word. Every morning I report to him and check in, he asks me questions and makes sure I have help completing the necessary objectives for the day. I work directly with two youth development staff during the day in the Teen Department. I’m also finding that it isn’t difficult to connect with the youth, I’ve kept the conversation generally casual and I think they appreciate that. I don’t crowd them but let them come to me instead, and I’ve found that this is a effective way to connect with most of them. The girls seem so much more shy than the boys, so I’ve gone a little out of my way so that everyone knows I’m available to them, while still being approachable. I’m so happy that things have been going as smoothly as they have, and that the staff as well as the youth have welcomed me into their space. Looking forward to all the good things to come over the summer!and we’ve been creating an agenda for the summer. So far, we’ve scheduled field trips, basketball tournaments, job readiness workshops, and fun activities for the kids to do during the day. I’ve met quite a bit of the youth I’ll be working with throughout the summer and I was surprised to see how quickly they have warmed up to me. The kids in the program (youth building communities) are between the ages of 11 and 14, so this is a critical age for them. I’m very much looking forward to working with them over the summer and building relationships. At first I was a little concerned about the relatively small age difference between the kids in the program and myself. I’m sure to them I seem young, and sometimes teenagers can see this as a reason to see me as one of their peers. Thankfully though, the staff has introduced me to the youth as well as their parents as part of the staff so I haven’t had any issues with my authority thus far. I’m also finding that it isn’t difficult to connect with the youth, I’ve kept the conversation generally casual and I think they appreciate that. I don’t crowd them but let them come to me instead, and I’ve found that this is a effective way to connect with most of them. The girls seem so much more shy than the boys, so I’ve gone a little out of my way so that everyone knows I’m available to them, while still being approachable. I’m so happy that things have been going as smoothly as they have, and that the staff as well as the youth have welcomed me into their space. Looking forward to all the summer has to offer. 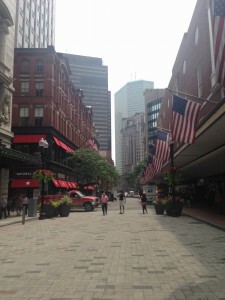 I just finished my first full week as an intern at the National Immigration Project of the National Lawyers Guild (NIPNLG) in Boston, MA, which is a national non-profit organization composed of a network of legal professionals who provide legal assistance and support to immigrant communities and their legal practitioners and advocates. The NIPNLG seeks to promote justice and equality by both defending and advancing the rights of immigrants. We focus on assisting five major categories of immigrant communities: those facing criminal charges with consequences of deportation, survivors of crimes and domestic violence, those facing raids or immigration enforcement action, non-citizens who want complete freedom of political expression, and non-citizens living with HIV/AIDS. Our mission is to provide immigrants and their attorneys the support and guidance they need in defending their rights. The legal process can be very confusing and daunting for non-citizens who cannot afford attorneys’ fees. The organization’s success depends on the dedication of its staff and members who provide crucial technical assistance. Our role is to provide useful information and set up connections between attorneys and immigrants. My responsibilities will include assisting both the Director of Development and Communications and the Staff Attorneys on various administrative, legal, and development projects throughout the summer. My first project is creating a program book for an upcoming reception at an American Immigration Lawyers Association (AILA) conference which honors one of our members who has done outstanding work to defend immigrants’ rights within the past year. Click here for the story of one of the immigrants whom he represented and successfully defended. Another component of my experience at the NIPNLG will be communicating with immigrants who are currently detained in prisons all over the country who are looking for a pro bono attorney or legal advice. As we receive these letters, the staff splits them up, and everyone is responsible for responding to detainees with the resources they have requested. Through this ongoing project, I hope to better understand both the legal aspects of immigration and the areas in which our legal system does not support immigrants’ needs and rights. I found and secured this internship with the tremendous help of a Brandeis professor and colleague of an NIPNLG member. Through this connection, I contacted the Director of Legal Advocacy and set up an interview before I went abroad for the spring semester. Though they usually only take law student interns, they created a unique position for me that both fit their needs and my summer learning goals. I feel very welcomed and needed in the office, and I am very excited to continue to learn about how a small non-profit functions and how it contributes to the greater picture of advancing immigrant rights. I also hope to explore options for graduate school and/or a possible future legal or non-profit career having to do with social justice. 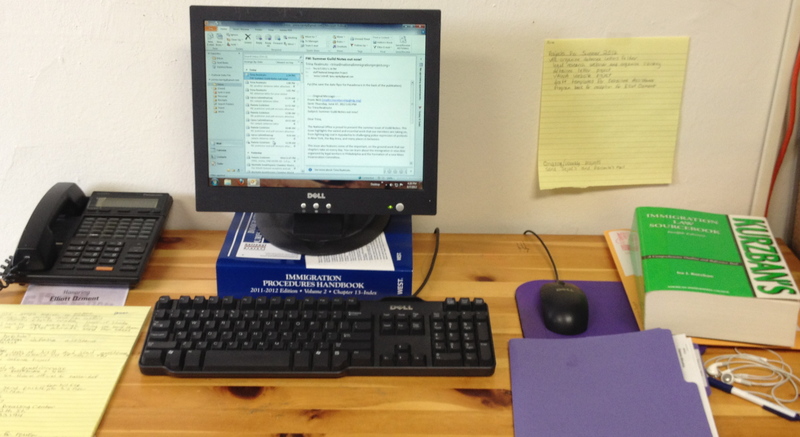 Here is a picture of my desk: I already feel like a contributing member to the important work that the staff does. They really try to include me in the office culture. I look forward to contributing to the NIPNLG’s goals. 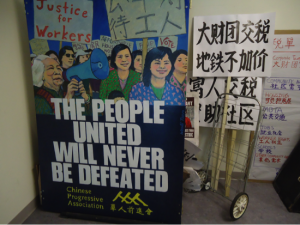 “The Chinese Progressive Association is a grassroots community organization which works for full equality and empowerment of the Chinese community in the Greater Boston area and beyond. Our activities seek to improve the living and working conditions of Chinese Americans and to involve ordinary community members in making decisions that affect our lives.” [Mission]. I just finished my second week at the Chinese Progressive Association (CPA), a non-profit based in Boston’s Chinatown. 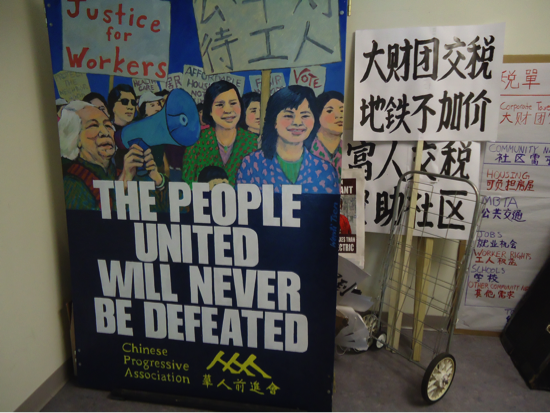 The Chinese Progressive Association has been playing a large role in the lives of Chinatown residents since 1977 when it was founded. CPA wishes to create a grassroots movement, meaning a movement directly led and supported by residents of the community whose lives are affected by issues such as the need for jobs and education, freedom from discrimination, and a clean and safe living environment (click here for a short video on CPA). The summer before my senior year of high school, I interned at another non-profit in the Chinatown area. During that time, I learned about the history of Chinatown and its need for affordable housing and the economic gap in terms of income between most of its residents compared to the median income of Boston residents. Having grown up in the suburbs, generally without much exposure to the Asian Pacific Islander (API) issues that Asian Americans face every day, I believe that summer helped me become more aware of myself as an Asian American in the context of society and sparked my interest in learning more about API issues and how to go about trying to seek social justice. Around then, I learned about the Chinese Progressive Association which promoted not only education on the rights of the Chinatown residents but community activism and action. I knew that getting involved in CPA would be the next step in engaging in these issues. These last few days have been interesting ones. My first week, I accompanied my supervisor on a “canvassing” trip, which more or less meant knocking on people’s doors, talking to them about a petition. At the moment, CPA is working toward getting a question on the ballot for the next election in order to gauge voter reaction to potential changes in policies related to taxation of the wealthiest Americans, access to affordable housing, and the recent MBTA toll hikes. I also got to sit in on a staff meeting, which gave me a little insight into how a non-profit operates behind the scenes and how decisions are made. However, the most exciting moment of the week was getting to meet photographer Corky Lee and having a chance to sit down and interview him for CPA. Although I had never heard of Corky Lee before coming to CPA (CPA was showcasing a small gallery of his photographs), I found his story and experiences fascinating, not to mention inspiring. Decades ago, he had seen that Asian Americans were not prominent in the media or American history. 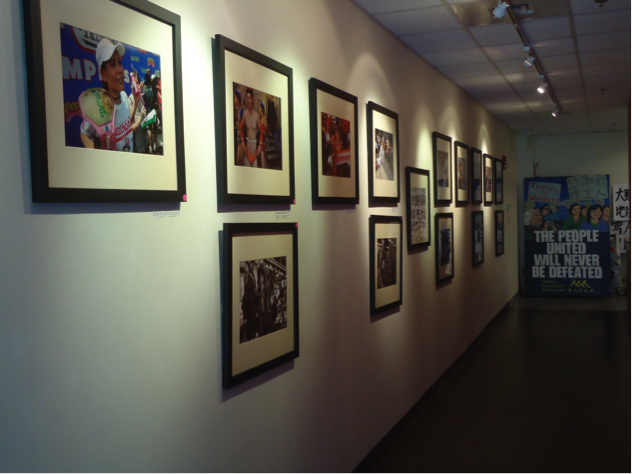 Today, he is helping raise awareness of Asian Americans and their struggles, cultures, and daily lives through his photography. I can’t wait to write the interview article! At the moment, I am in charge of gathering research about the Boston Public Library’s fiscal budget and new Compass Plan in order to help CPA and further their goal of creating a library in Chinatown as its residents have been without a library since the 1950s when urban renewal occurred, causing its demolition. I’ll also be helping CPA with their various summer projects such as the annual Chinatown Bike-A-Thon and their current voter outreach project. It’s hard to say what I expect for the summer as I’m happy with learning and experiencing anything and everything that I can. I hope to get a better understanding of how non-profits operate as well as more knowledge of the Chinatown community. Besides that, I hope that I can make a meaningful contribution to CPA. I love the idea of being involved in a community that is always evolving and changing, seeing the development up close. I look forward to witnessing firsthand and playing a part in this progress over the next few weeks. The Cambridge Public Health Department (CPHD) improves the quality of life of Cambridge residents and workers by encouraging healthy behaviors, fostering safe environments, and reducing illness. I am interning at the CPHD’s Division of Epidemiology and Data Services, whose main objectives are to identify community health problems, evaluate population-based health services, and research innovative solutions to health problems. Epidemiologists study factors that influence population health, which serve as a basis for thinking about solutions to these problems. I wanted an internship this summer that would allow me to learn more about public health departments and incorporate my interest in socioeconomic roots of illness. I researched internships at hospitals, community health centers, and public health departments. The internship at the Division Epidemiology and Data Services at CPHD interested me the most because the project would allow me to focus on social epidemiology and health initiatives in a city. I initially contacted them last fall for a spring internship, but there were no positions available. I kept in touch, and my perseverance paid off. I worked closely with the manager to find projects that will meet the department’s need for creative thinkers to analyze data while giving me the opportunity to advance my own goals by studying social determinants of health. The Division of Epidemiology and Data Services recently received a grant to incorporate GIS (Geographic Information System) maps into their surveillance of chronic diseases. Integrating a GIS component would help identify areas of need and give direction for policy efforts. One of the ways in which GIS may be used is to create and map a neighborhood wellness index. This index would be overlaid with socioeconomic status and baseline health maps in order to identify any potential health disparities and spatial patterns in health outcomes and the environment. In my first week, I researched existing neighborhood wellness indexes and what layers of these indexes might be mapped (i.e., walkability, miles of bike lanes, green space, access to healthy food options, fitness stations, etc.). The map below shows how GIS technology can be used to map walkability. In this map, the darker shaded areas in the Seattle area are more walkable than the lighter areas. Learn how GIS is used in public health on the World Health Organization’s page on GIS and Public Health Mapping. Overall, my first week went very well! I liked that I was able to start working on a project right away, and the orientation I had on the first day helped me get better acquainted with the CPHD and the work of the Division. The work I have done so far has been very independent, but my supervisors check in with me often to make sure that I understand the project and answer any questions. I have enjoyed slowly getting to know the other people in the office. The other intern, an MPH student, and I went to a coffee shop on Thursday morning, and I liked hearing about her work and plans for the future. I found it helpful to speak with someone who is a little farther along in the process of working in public health than I am. I have already learned so much about working in a public health setting in this first week, and I expect that I will continue to learn more about epidemiology and the factors that contribute to illness as the summer progresses. Having just completed my first week interning at Boston’s St. Francis House, I am extremely excited for opportunities to learn from and contribute to the organization throughout the rest of the summer. St. Francis House is a non-sectarian, non-profit organization that provides a variety of services to the poor and homeless. 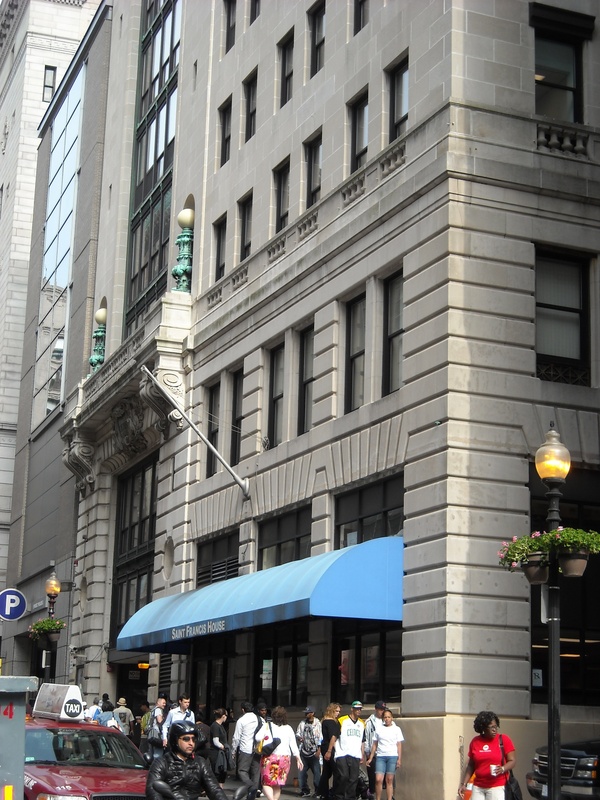 In addition to serving as a day shelter providing meals and an indoor space for people to stay during the day, it also provides housing, job training, medical care, counseling, and a variety of other services to its guests to further the organization’s mission of “rebuilding lives.” The organization is located in downtown Boston near the Boston Common and Boston’s Chinatown, providing convenient access for those in need of assistance. I first heard about St. Francis House through the Brandeis Social Justice and Social Policy minor’s compilation of sites where past Brandeis students have interned. I was specifically interested in this organization because of my interest in addressing issues of poverty and homelessness. Discussing the organization with the Brandeis student who had previously interned there prompted me to contact her former supervisor, who then spoke at great length to me about his work and the organization’s mission. After this meeting, which included a tour of the services contained within the building, I was eager to work at St. Francis House. There are a wide variety of projects that I will be involved with throughout the summer. 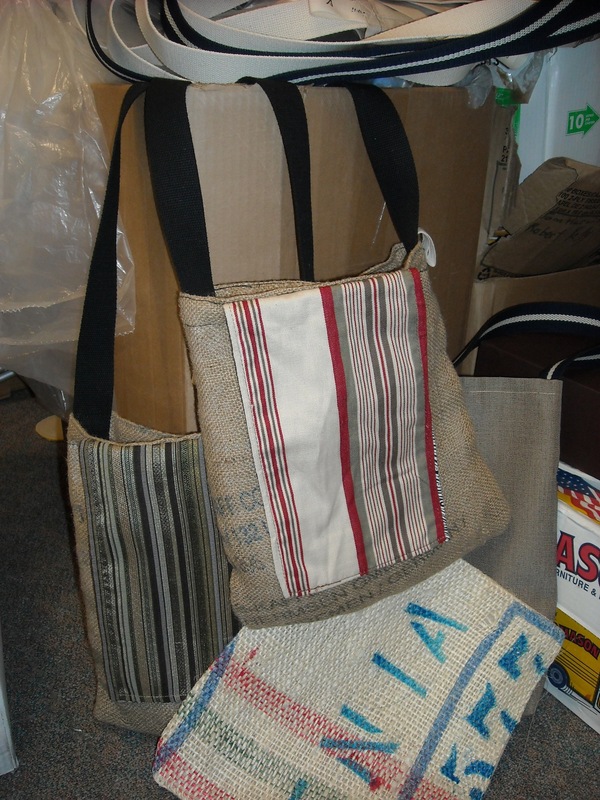 At the moment, I am collaborating with others to develop a marketing plan for an eco-friendly bag-making business (including bags such as the ones sold on this website). Because some guests, particularly those with criminal records, have difficulty finding employment, a business is being created to employ people eager to work. Additionally, I am doing research related to an entrepreneurial course that St. Francis House plans to offer. This course would work with individuals to develop business plans and entrepreneurial skills, and I am identifying possible colleges to partner with in the hopes of combining education for St. Francis House guests with education for college students. In the future I will be doing policy work aimed at reforming the Massachusetts criminal justice system. I also will have an opportunity to visit incarcerated individuals with my supervisor and attend court cases at which my supervisor testifies. In addition, it is likely that I will gain experience writing letters of inquiry to obtain grants for specific projects. 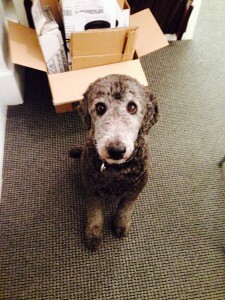 This week I spent a great deal of time with my supervisor in meetings. Given my supervisor’s “open door policy” welcoming guests into his office, there is a large amount of time devoted to meeting with individuals, hearing their stories, and working with them to find solutions to their problems. I found this casework particularly interesting. It was incredible to hear people reflect upon their experiences and see how enormously resilient human nature can be. I also saw how policies directly impact individuals’ lives and can bar them from opportunities such as employment or a place to live, or, on the other hand, offer them crucial monetary or other assistance. After my first week I have already engaged with problems of homelessness and poverty as well as issues with the Massachusetts criminal justice system, and I anticipate a much deeper understanding of these issues in the future. I am excited to learn more about these issues and also develop skills related to grant writing, research, and working with individuals who are homeless. I arrived at United for a Fair Economy (UFE) safely, but in the midst of pure chaos — I walked into a scene of power tools disassembling furniture, boxes piled high, and various items with bright signs saying, “KEEP!” or “TOSS!” As some of us with housing leases know, June 1st is the big moving day, and this also held true for UFE as they upgraded to a bigger space, a few blocks over on Milk Street in Boston. However chaotic it may have been, there was still this wonderful energy amongst my new co-workers. Everyone was enjoying themselves as they labored through all the burdens associated with moving. Already reflecting on that first day, I can tell that UFE will be a positive environment in which to be working this summer. UFE is a national organization whose mission is to “raise awareness that concentrated wealth and power undermine the economy, corrupt democracy, deepen the racial divide, and tear communities apart.” There are five core programs under the umbrella of UFE: Popular Education for Action, Estate & Federal Taxes, Responsible Wealth, Tax Fairness Organizing Collaborative, and the Racial Wealth Divide. Each branch has a goal to make connections with outside resources, then ultimately collaborate with them in order to strengthen the broader movement. Their 2011 annual report nicely summarizes the successes of the past year and goals for the future. I have been hired as an intern of the Development Team which is heavily focused on organizing fundraising projects and donor communications. As a non-profit organization, UFE relies on grants and donations in order to sustain itself, so much of my work will be focused in researching new, potential funding sources, working on grant writing, communicating with long term donors, and helping to organize fundraisers such as Call-A-Thons and House Parties. Yesterday I had the opportunity to sit in on a meeting with the UFE Board of Directors. Each year there are four meetings between the staff and Board. It was a really interactive meeting that involved many activities such as, getting into groups and writing our own “elevator speeches,” so that if we find ourselves stuck in an elevator, we can successfully encourage someone to make a donation or even join the UFE movement. What I enjoyed most about the day was listening to the directors talk about their experiences with UFE and how they became involved. Membership to the board is unpaid and volunteer-based, which proved just how much these directors care about the cause. I came out of that meeting feeling so empowered really only because they were so excited about their work. Recently, the director of Development lent me a fantastic book called, The Self Made Myth. It is written by Brian Miller, the executive director of UFE, and Mike Lapham, a project director and cofounder of UFE. So far I am just about halfway through it, but from the dialogue on the very first page, I became hooked. In overview thus far, it is about debunking the “self made myth” that progressive taxes are a form of “punishing success.” Many of the wealthy in the U.S. like to believe that success was earned solely on an individual level — without the help of anyone along the way. However in Chuck Collins’ foreword, he says, “No individual is and island. No one starts a business or creates wealth in a social vacuum. There are things we do together — through our tax dollars and public expenditures — that create fertile ground for wealth creation” (xii). 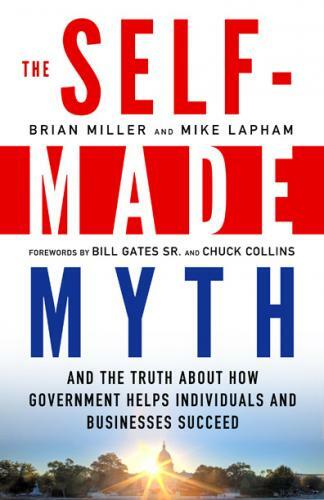 Miller and Lapham’s book is centered upon this myth and presents stories of prosperous business leaders like Warren Buffet and Ben & Jerry’s who recognize that without various public investments and support, they never would have made it to where they are today; for this reason, they support higher taxes for themselves (the wealthy) because it is a way of giving back after all the help they received along the way. On the UFE webpage, there is an interesting article titled “Eight Reasons You Should Agree with Will Smith on Taxes”. I highly recommend checking it out! It was really by luck that I came across this internship opportunity. I was totally unsure of what I wanted to do this summer, but back in February I happened to read through the weekly community service e-mail and saw the blurb about UFE looking for a summer intern. It is very unlike anything I have ever done in the past, but that is why I was so drawn in. For years since hearing about the economic crisis in the U.S., I have not once tried to understand the root of the problem. Already working with this staff, their enthusiasm and passion has been contagious. I look forward to learning more and gaining the tools needed so that I can continue the chain of educating others the same way the the staff at UFE has begun educating me. I had been nervously waiting with ice coffee in hand at the non-profit Partners in Health (PIH) lobby for a few minutes, waiting for my site-supervisor to walk through the front door of the main office entrance. 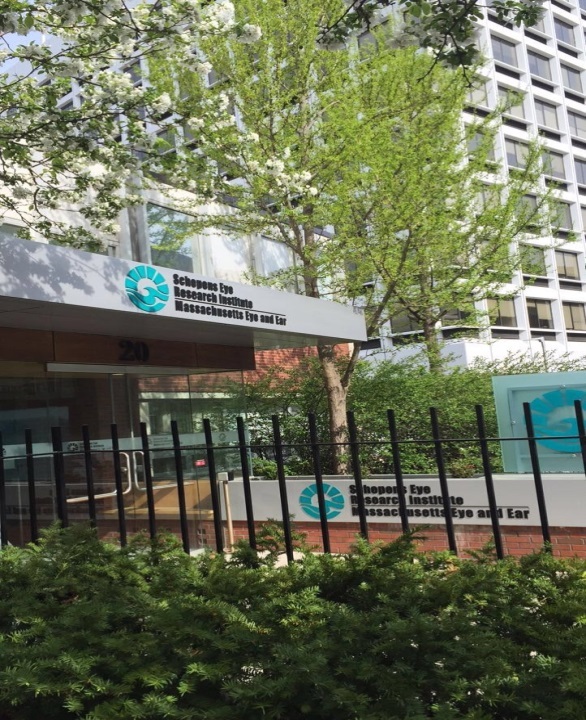 While I had read much about PIH in books, watched videos online, and discussed the organization’s global impact with friends, I had never quite made it past the lobby of their central Boston office. I knew that once I saw my site-supervisor cross the threshold of the office entrance, I would begin engaging with the domestic epicenter of this vastly global organization. 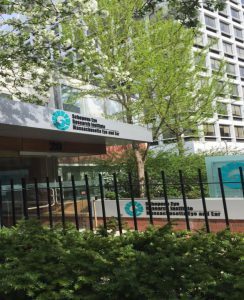 May 24th was my first full day working with PIH, but I ended up spending no more than twenty minutes beyond the lobby of the non-profit I had long looked up to. While I had anticipated my first day to be limited to small steps like acclimating to my desk area, a lot of handshakes, and a swirling array of new faces and names to learn, my first day ended up being a more proper introduction to PIH and my summer internship. PIH is a health-oriented non-profit that is based in Boston but delivers its impact to 13 countries; Haiti, Lesotho, Malawi, Mexico, Peru, Russia, Rwanda, Kazakhstan, Burundi, Guatemala, Liberia, Mali, Nepal, and domestically within the Boston-metro area. An organization that operates with a mission that is both medical and moral, the PIH approach is one based in solidarity rather than charity alone. Founded in 1987 by Dr. Paul Farmer, Ophelia Dahl, and Dr. Jin Yong Kim, the non-profit entity was a logical second step from Dr. Farmer’s extraordinary healthcare projects in rural Haiti. Children in rural Malawi make PIH’s primary logo with their hands. A lot of people have learned about Dr. Farmer and PIH through a book called Mountains Beyond Mountains. It is an up-close biography following Dr. Farmer through many years and many countries; the author, Tracy Kidder, justifies the subheading of his book as “The Quest of Dr. Paul Farmer, A Man Who Would Cure the World.” Kidder’s book was my first introduction to PIH as well, though it was not my first taste of the growing field of global health. Since high school, I had been passionate about healthcare access in marginalized communities, particularly women’s healthcare. I had decided upon entering Brandeis that my education and future career goals would be oriented towards empowering my global community to seek and achieve a better form of healthcare. And, when I read the snippets of Dr. Farmer’s life characterized in Mountains Beyond Mountains, I felt solidarity in his dedication as he climbed the steep and rocky foothills of rural Haiti to reach remote patients that sought healthcare. The picture above shows Dr. Farmer with a young patient in Haiti. While PIH’s work spans thirteen countries, the largest efforts have been based in Haiti. In February, I organized a panel for ‘DEISImpact! 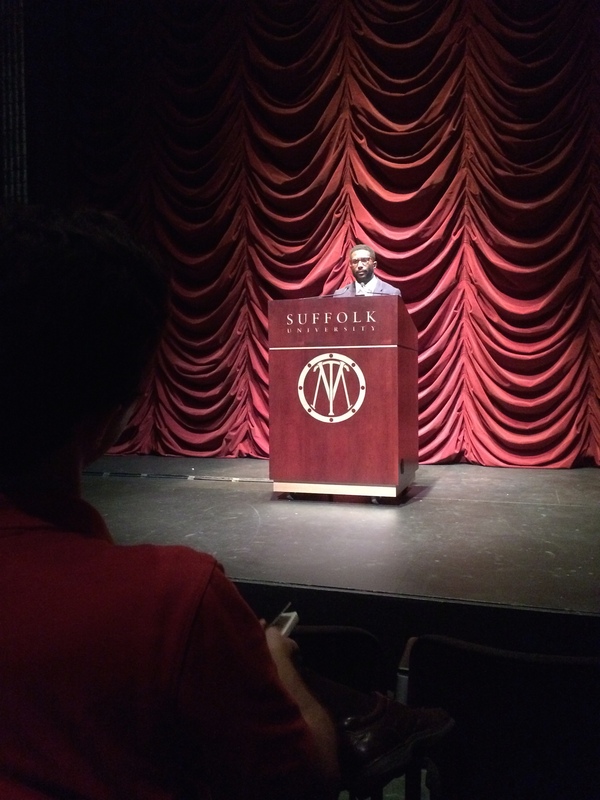 ; a week-long celebration of social justice at Brandeis, both on and off campus. My panel was called “Idealism and the Undergrad: Student Involvement and its Effectiveness on Global Health Initiatives.” I gathered an American student studying global development and a Burmese student who was both a doctor and public health specialist in her home country, both of whom study at the Heller School for Social Policy and Management, Dr. Tschampl, the Health, Science, Society, Policy (HSSP) Internship Instructor and the Boston Global Group Leader for RESULTS, and my site-supervisor, the Community Engagement Coordinator at PIH. My goal in hosting this panel was to address my question of possible value and harm that could come from hopeful and idealistic undergraduates engaging with international clinics. How can undergraduates be a part of a sustainable healthcare movement without adequate training, experience, or education? Through ongoing dialogue after this panel with my site-supervisor, I was able to secure my current internship at PIH. I am currently collaborating with several PIH employees and volunteers to create a project which will increase domestic knowledge about PIH. While the program has yet to launch, my role is to design various components of this program as it will be piloted to numerous communities in the United States. Not many of the IBM workers at the Volunteer Festival had heard of PIH. But as more people came to our table, my site-supervisor and I shared stories of the wonderful work that PIH does with each of them. Not all of them signed up for a volunteer shift, but more than a few did. I think a lot of the reason why so many people signed up for the PIH volunteer night was not because the volunteer work particularly struck them. Rather, it was the idea that they would be joining a movement that tackling a Goliath issue — providing sustainable and equitable healthcare to impoverished communities around the world — an immense problem at which Dr. Farmer and his many supporters chip away day by day. I am not the only person to have been moved after reading Mountains Beyond Mountains or heard people talk about PIH. Far from it. The office is filled with many young and brilliant workers working on a range of projects under the umbrella that is PIH. It’s this impactful and visible work that drive so many students, doctors, and local community members want to become a part of PIH. This summer, I hope to learn what my role, both as an undergraduate and as a hopeful doctor a few years down the line, could be in such a great movement. A village healthcare worker takes notes on a patient in rural Haiti. “Realigning Health with Care,” an article co-authored by Dr. Farmer. “Mountains Beyond Mountains,” the detailed biography on Dr. Farmer and PIH by Tracy Kidder.